When I was just starting my writing career, I gobbled up any and all advice from published authors that I could find. I barely managed to cobble enough information together to figure out how to write a cold query letter and land my first agent. The rest I learned on the job. I owe an enormous debt to the people who helped me along the way–agents, editors, publishers, PR people, other authors, chefs, photographers–and I firmly believe in paying it forward. So to share my knowledge with all of you, here is my collection of everything you ever wanted to know about cookbook publishing (but were afraid to ask… or more likely, didn’t know who to ask, or asked and they wouldn’t answer). Hopefully it will help you make your own publishing dreams come true! This seems fairly obvious, but what you need to write differs depending upon the type of book you want to publish. For a work of fiction, you need to have your entire manuscript completed, edited, and ready to go before you even think about contacting an agent. 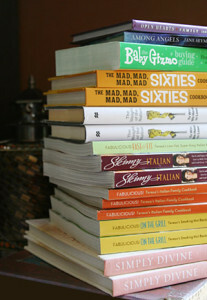 For a work of non-fiction, like a Cookbook or a Biography, you don’t have to write the entire book first. In fact, you really shouldn’t. Instead, you need to write a book proposal. Have it completed, edited, and ready to go before you even think about contacting an agent. Yes, people are self publishing. You don’t need an agent to do that, but I’d still recommend getting one if you can. Yes, you can submit your work directly to publishers sometimes, but I highly recommend against that for a couple big reasons, mainly because you aren’t protected. (Read “Why You (Really, Really) Need An Agent” to see why.) Once you have an agent, they’ll not only sell your work to publishers (and then pop the champagne! ), they’ll also bring work to you. It’s a win-win. So that’s it! Just two steps! You have to do them correctly though. Publishing isn’t as much a competitive world as it is a crowded one. Everyone on the planet thinks they can write well. The truth is, not everyone can, but lots and lots of people try. How Much Money Do Authors Make? Good luck! I have the utmost faith in you!